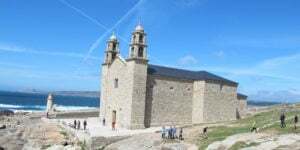 Home / Blog / FAQs / Camino FAQ: What is a Parador? ‘Parador’ is the name given in Spain to luxury hotels managed by a state-run company and usually located in buildings of historic importance such as fortresses, monasteries and castles; but also new buildings set in nature reserves and areas of outstanding beauty. Paradores de Turismo de España, the public company managing these luxury hotels, was founded by King Alfonso XIII to promote tourism in Spain. The first parador, Parador de Gredos in Ávila, was opened in 1928 by the King. Today there are 94 paradores from 3 to 5 stars all across Spain, many along the Camino de Santiago. 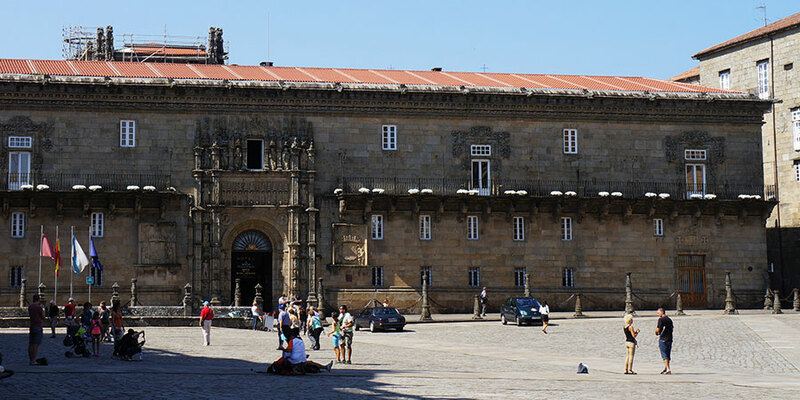 The most famous parador on the Camino de Santiago is the 5-star Hostal dos Reis Católicos in the Praza do Obradoiro in Santiago de Compostela, just across from the cathedral. The building has been welcoming pilgrims for over 500 years and you will feel like you are stepping back in time as soon as you walk through the door. 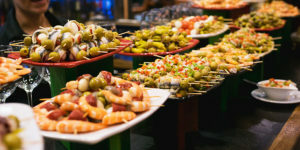 Whether you are staying or eating at the restaurant, it is a must-see if you are in Santiago. 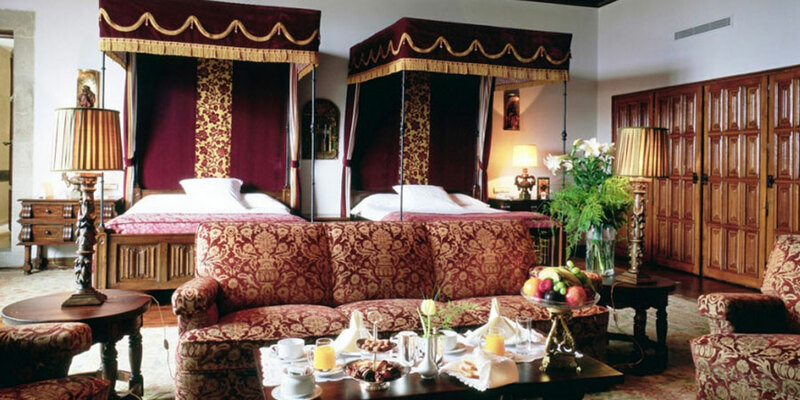 16th century Parador de León, the monastery-hospital Hostal de San Marcos, featured in the movie ‘The Way’ when the main character, played by Martin Sheen, and some of his fellow pilgrims decide to treat themselves to a pampering night before continuing on their journey to Santiago. Santo Domingo de la Calzada, on the French Way, has two beautiful parador: 3-star Santo Domingo Bernardo de Fresneda by the Convent of Saint Francis and the 4-star Parador de Santo Domingo de la Calzada, located in the building of a 12th century pilgrims hospital. The parador in Baiona is a picturesque medieval fortress with a spectacular location in the Monterreal peninsula, looking out to the bay and the Atlantic Ocean. 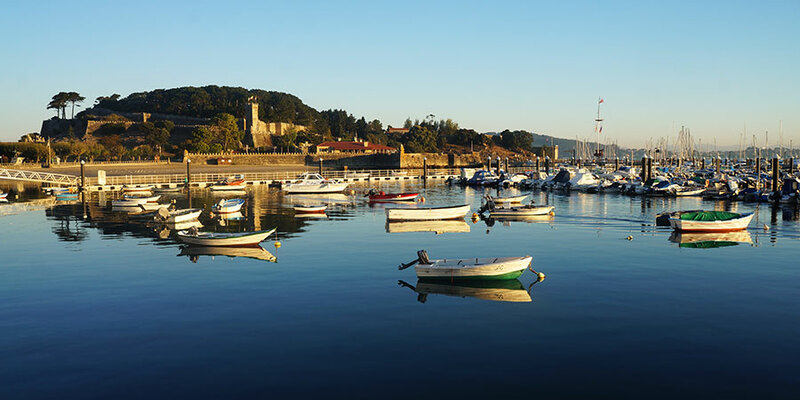 This 4-star is located in a 10th century fortress overlooking the Bidasoa estuary, in the Basque Country. The original medieval building was founded by King Sancho of Navarra. The 4-star parador in Tui is a beautiful example of the Galician ‘pazo’ or grand house. This is a new building and 4-star hotel in one of the most stunning towns on the Camino Frances. This is a 3-star in a coastal Galician mansion, combining traditional styles and materials such as granite stone and traditional white ‘galerías’ windows. The parador in Ribadeo, on the Camino del Norte, offers pilgrims spectacular panoramic views of Ribadeo Bay. At the 4-star parador in Vilalba you will feel like a medieval pilgrim as the building incorporates a 15th century fortress. The 4-star is a 16th century Renaissance palace, former home of the Counts of Maceda, located in the historic centre of the city. Zafra is a stopping point on section 2 of the Vía de la Plata. Its 4-star parador is located in an imposing castle built in the 15th century for the ‘Duques de Feria’, a Spanish noble family. Hi Al, A Parador is a lovely treat while you on the way. These are unique hotels to see and stay in. Kindest regards, Lisa. Walked the Camino frances twice but did not stop in a Parador. Doing the Camino Portuguese and Camino Norte this year and might stop in one. Camino FAQ: What is a Casa Rural?